Give to ChattaNeuter to prevent unwanted litters - Just click the DONATE button on the home page! Unwanted companion pets are an epidemic in the United States. The ASPCA estimates that 6.5 million dogs and cats are brought into shelters every year, and 1.5 million of those are euthanized. ChattaNeuter strives to end the euthanasia of companion animals by making spay/neuter services easily accessible, and you can help! Your donation to ChattaNeuter ensures that shelters, rescue groups and pet owners have access to high quality spay/neuter services that they can afford. When pets are spayed and neutered, there are less unwanted pets in our community. 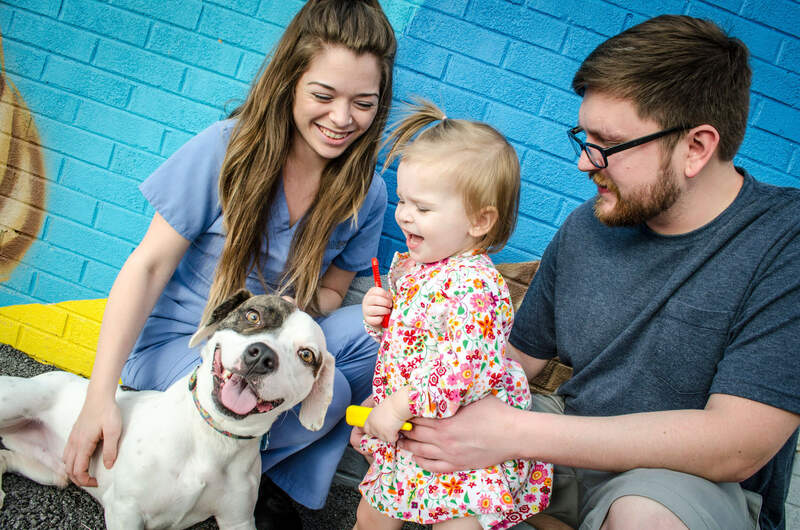 ChattaNeuter currently partners with 9 local shelters and rescue groups (including Marion Animal Resource Connection, pictured with puppies in tow), so that all pets in the greater Chattanooga area are spayed/neutered before they are adopted! Your donations help people and pets like the Smith family (name changed to protect their identity), whose yard, sad to say, is often used as a dumping ground for unwanted pets. When a pregnant dog was dumped at their door, the family took her in, named her Lily, and helped her have her puppies in warmth and comfort. Once she had weaned the puppies, Lily came to ChattaNeuter to be spayed – and her family even found a rescue organization to help them find a home for her. Share the love by donating to our general fund to provide low-cost spay and neuter for those who need it so we can do the important work of ending companion animal overpopulation.